The Department of Civil Engineering, RIET, Jaipur organized expert talks on “Road Safety Scenario in India ”Every life counts” and “Hot mix asphalt mix design: Fundamentals and some critical concepts”, delivered by Dr. Rajan Choudhary and was attended by all the staff members and students of Civil Engineering Department. Dr. Rajan Choudhary is a Professor in the Department of Civil Engineering, Indian Institute of Technology Guwahati. 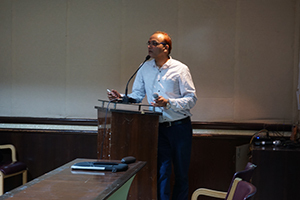 The seminar started at 12:30 pm in Admin Seminar hall with the welcoming of the chief guest Dr. Rajan Choudhary. During the session Dr. Rajan Choudhary narrated the current scenario of road safety in India with the aid of latest reports of road accidents. He emphasized on the importance of road safety to make the students familiar with the graveness of the situation. He also elaborated on the role of us as civil engineers and highway engineers in safe design of highways and thus the protection of precious lives. In his second lecture Dr. Rajan Choudhary explained the hot mix asphalt mix design. 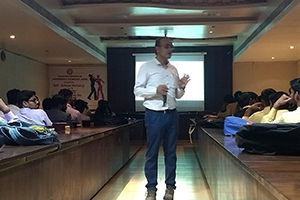 His insightful lecture covered the fundamentals and the critical concepts of HMA mix design. With the aid of his expertise in highway engineering, he provided an excellent discussion on Marshall’s method of design. 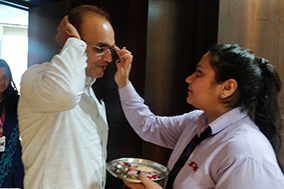 Both his talks were very informative and the teachers and students who attended the lecture will surely extract the benefits of listening to an eminent and renowned Professor like Dr. Rajan Choudhary. 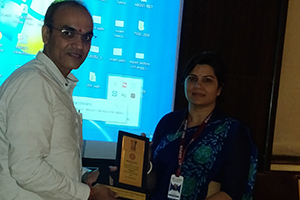 The seminar ended with vote of thanks by Principal Prof. Dr. Saroj Hiranwal.